Getting Your Kids To Do The Obscure Stuff At Home! | Life Love and Hiccups: Getting Your Kids To Do The Obscure Stuff At Home! Getting Your Kids To Do The Obscure Stuff At Home! Now, I’m not one to condone child labour in any way, shape or form... unless of course my kids are offering to sit there and massage my shoulders for an hour. 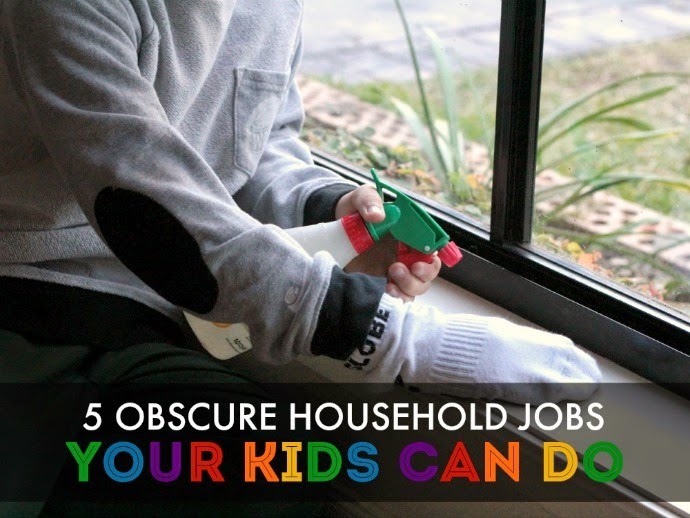 I do however believe in everyone in the family doing their bit when it comes to jobs, and there are some obscure household jobs that are just perfect for the kids to do. Kids typically WANT to earn some extra pocket money, right? Actually my kids just want money full stop! They are always eyeing off new shoes, a new skateboard, a new something or other they want and there are always some jobs that kids are just more physically suited for than us grown-ups. Like massages! Anyway I am over at Kidspot shouting from the rooftops about some of the more obscure household jobs we can get the muchkins can do, so head on over here if you want a few hints. Are there any weird jobs you get your kids to do that I am missing out on?